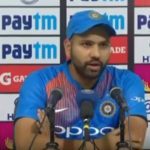 Rohit Sharma – India’s stand-in skipper during the T20I home series against West Indies – shares his team’s ambitions ahead of their tour Down Under. Rohit Sharma speaks to the press after India won the Asia cup for the seventh time. 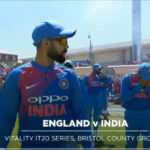 Rohit Sharma’s brilliant 56-ball 100 helped India chase down a target of 199 to claim a seven-wicket win against England to clinch the T20I series 2-1. 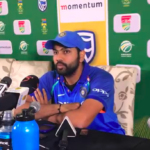 Rohit Sharma addresses the media after his 115 helped India sink the Proteas by 73 runs at St George’s Park on Tuesday. 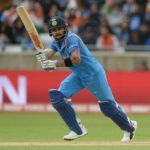 Virat Kohli, who rested while India demolished Sri Lanka in their ODI series, returns to lead his side in six ODIs against South Africa in February. 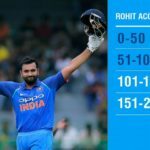 India’s Rohit Sharma, warming up for his tour of South Africa next month, has matched David Miller’s record for the fastest Twenty20 international century. Rohit Sharma’s 208 not out guided India to 392-4 in the second ODI against Sri Lanka in Mohali. Some big hitting from Rohit Sharma and Kieron Pollard guided the Mumbai Indians to a six-wicket victory over the Royal Challengers Bangalore in Mumbai on Wednesday. Bangladesh’s inspired World Cup campaign came to a grinding halt, as India emerged comfortably victorious by 109 runs in Thursday’s key quarter-final fixture at the Melbourne Cricket Ground. As Chris Gayle embarked on his rampage against Zimbabwe, it may have escaped most viewers’ notice that it was exactly five years ago that Sachin Tendulkar broke the magic 200 barrier for the first time.